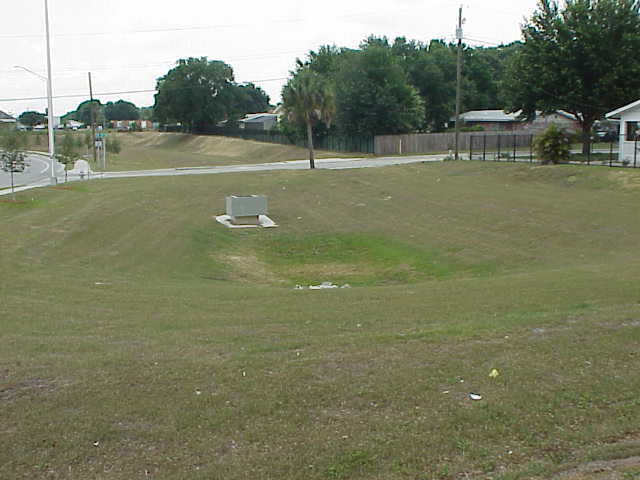 Dry retention ponds permanently hold back, or retain, the first half inch of runoff from a site. 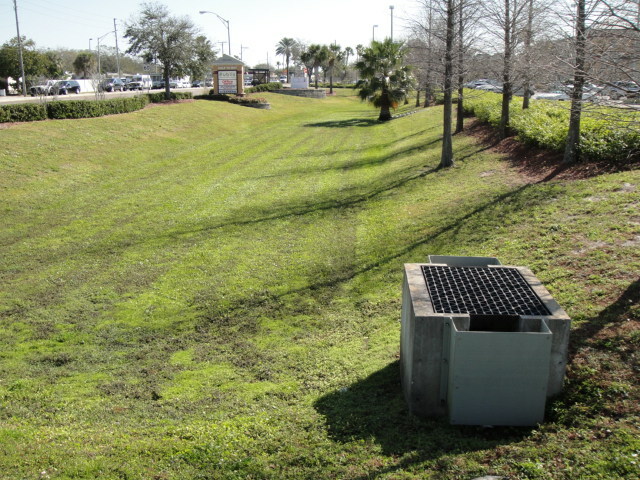 They use the underlying soil as a natural sand filter to remove pollutants from stormwater runoff. As the water infiltrates, or soaks into, the soil forming the pond bed, pollutants are trapped. The filtered water then flows underground into the Floridan Aquifer. Dry ponds are the simplest type of ponds and have the fewest problems. Although dry ponds are supposed to be too dry for wetland plants such as cattails to survive, there are several situations when their presence is not a violation of your SWFWMD permit.